All Things Lesbian: SICK OF SARAH Go On Tour! That's right, you heard it correctly. Queer all-female band Sick of Sarah are embarking on a full tour of the US starting today! Sick of Sarah, alongside duo Uh Huh Her, are actually the only current lesbian band I listen to; my music taste is generally stuck in the 1970s. I don't think you need any more proof that these ladies are worth a listen! 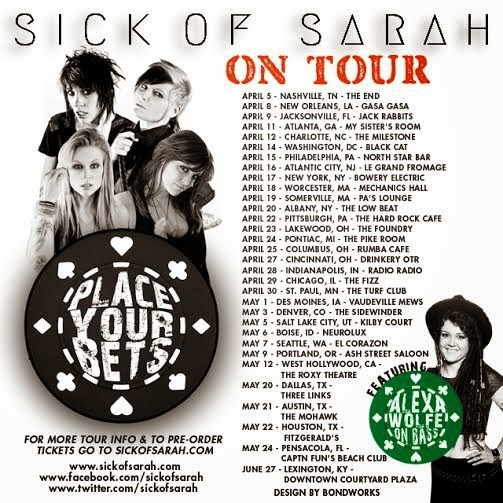 You can find more information about tickets on the band's website, http://sickofsarah.com/.